If you’ve always wanted to travel to Glasgow, now’s the time. The biggest city & culture hub of Scotland is experiencing a renaissance of sorts, shedding its rough-and-tumble reputation to become one of the hippest places to live in the United Kingdom—and Europe as a whole! Even if you only manage to carve out one day in your Scotland itinerary, there’s an insane amount of awesome things to do in Glasgow from checking out age-old historical sites to sifting through markets to sipping ale in a traditional Scottish pub. Whether or not you enjoy shopping while you travel, taking a walk along Buchanan Street is a must for any visit to Glasgow. 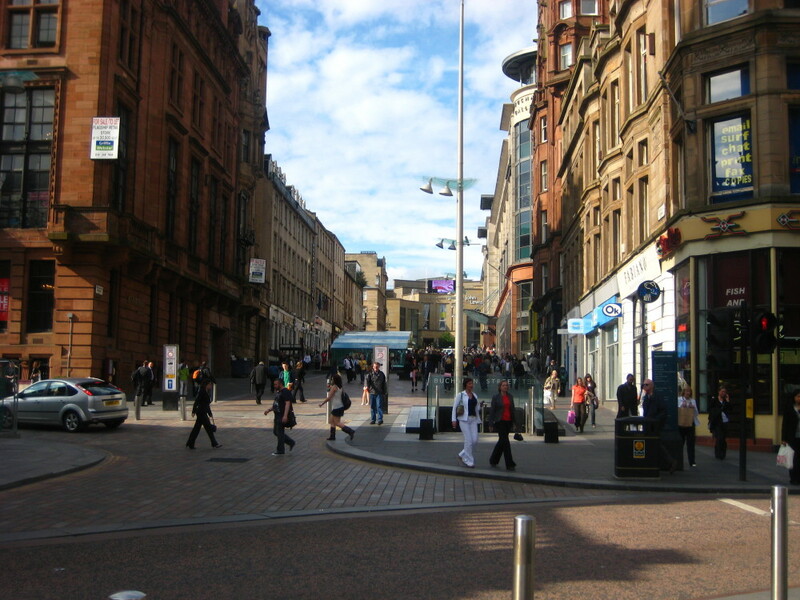 Buchanan Street is the among the best places to shop in Glasgow. No matter which direction you turn, you’ll find a boutique carrying your favourite international brands as well as less-familiar local ones. Even without dropping your hard-earned quid on some clothing, Buchanan Street is among the city’s top places to catch the beat of Glasgow. Your sweet tooth will thank you, as well. There’s a dizzying array of restaurants and cafés on Buchanan Street, many of which have amazing desserts to pore over. If you happen to visit in December, be sure to check out the Christmas markets at the end of Buchanan Street on St. Enoch Square. You’ve probably heard a billion stories about the Titanic by now. That doesn’t mean you should skip out on the Scottish Opera Titanic Memorial. This top Glasgow attraction will enlighten you on the tale of the Titanic like no other place on earth. Scottish Opera Titanic Memorial is mostly a monument to the engineers who worked below deck on the Titanic. As the massive ship sank, these engineers were the selfless heroes who did everything they could to stop the might sea from crashing into the ship. 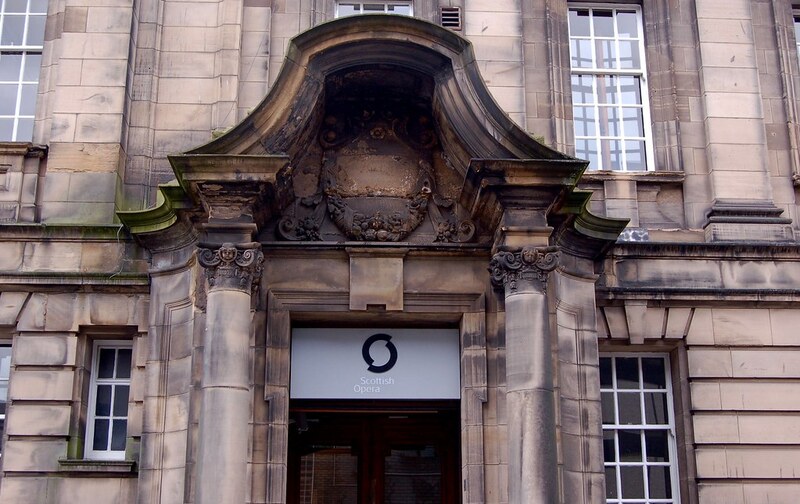 Interestingly enough, the Opera was once the headquarters for the professional Scottish engineers governing body who built the memorial to their fallen comrades. There’s a mass held here each year that reflects on the dangerousness and importance of engineering. Anyone searching for traditional old European charms in Glasgow need not look further than Glasgow Cathedral. Built in 1136, this cathedral has been the cultural symbol of the city for centuries and remains the oldest building in Glasgow. Glasgow Cathedral’s glorious Gothic form hails from the Middle Ages, “only” a few hundred years after its original inception. The high arches and stained glass windows are absolutely dazzling and a must-see for every traveller to Glasgow. 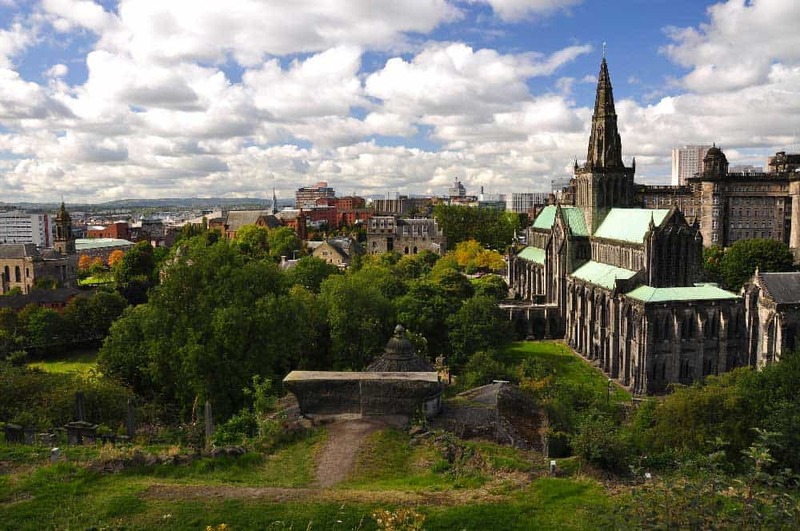 While you’re there, don’t miss the chance to descend into the eerie 13th-century crypt that entombs the patron saint of Glasgow, St. Mungo. The Necropolis is a cemetery unlike any other in the world. 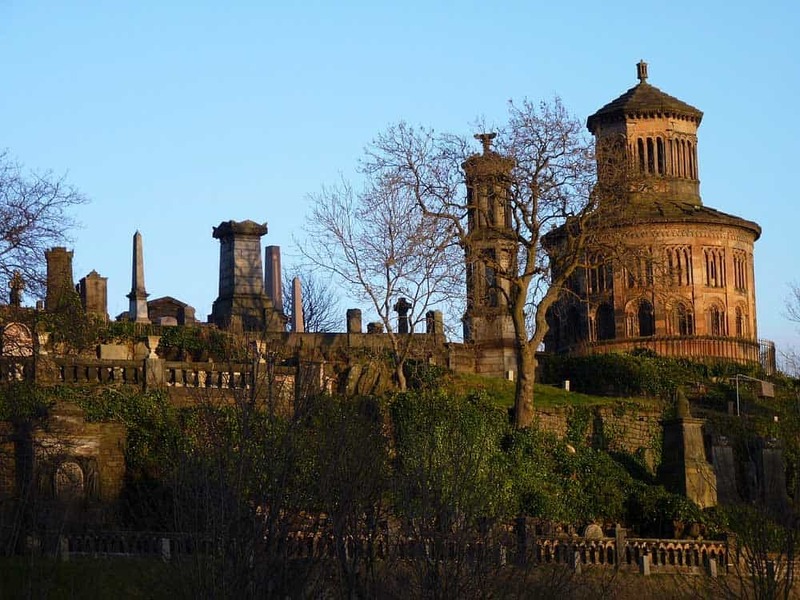 You might recognize this top point of interest from eerie movies like Death Watch (1980), but seeing The Necropolis for yourself should be high up on your hit list whether you’ve got one day in Glasgow or a few. The Necropolis isn’t built like your typical cemetery. Its Victorian monuments are spectacular works of art that beg to be seen. Many claim that the over-the-top design was to ensure body snatchers, known as “resurrectionists” at that time during the early 1830s, couldn’t dig up freshly buried corpses and sell them on the medical research market. Try to visit The Necropolis in the morning during the sunrise to see it at its eeriest and most jaw-dropping. If you’re an avid movie-watcher, you’ll love the Glasgow Film Theatre. Not only does it show the ultimate in world cinematic delights, but contemporary art house films. The theatre is also home to the annual Glasgow Film Festival. What makes this theatre unique is that, not only can you relax with a movie, but you can also grab a craft beer or a snack while you’re there from the Cafe Cosmo, inside the theatre itself. Before you visit make sure you check online to see what’s playing on the Glasgow Film Theatre’s website. If you’re interested in visiting for the Film Festival, the 2019 Festival will start on February 20th and end on March 3rd. Got a hankering for something a little different? 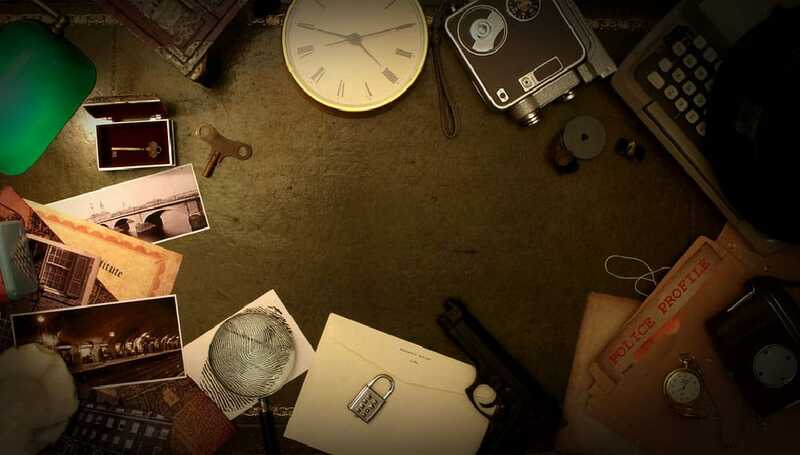 One of the best places to break from the usual cycle of historical European attraction hunting in Glasgow is Tick Tock Unlock, a live escape room game in the heart of the city. If you’ve never done a live escape before, Tick Tock Unlock is the place to do it. Live escape games require participants to solve a number of different puzzles using clues provided in order to escape the room. And if you can’t solve the mystery in time, well, you’re locked there forever! Okay. So, you won’t be locked in there forever. It’s all in good fun. And in case you’re wondering: Even visitors with claustrophobia can partake without a meltdown. The escape rooms at Tick Tock Unlock are slightly larger than any other escape venue in Scotland. A ton of amazing bands & musicians have played at SSE Hydro since its opening in 2013. In early 2019, some of the names expected include Ozzy Osbourne, Judas Priest, Twenty One Pilots, Shawn Mendes, and Keith Urban. Other than famous musicians, there are a number of other events that go on there throughout the year such as comedy shows and art venues. 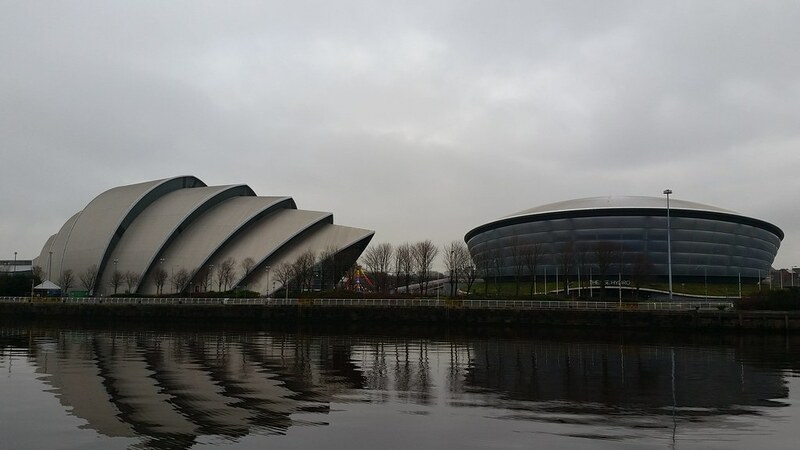 There’s also a ton of pubs and restaurants close to SSE Hydro, particularly in Finnieston, an area recently pegged as one of the hippest places to live in Europe. For most travellers, the best area to stay in Glasgow is undoubtedly the city centre. In staying here, you’ll be up close and personal with many of the city’s top points of interest. For destinations a little further afoot, the main transport hubs of Glasgow (Glasgow Central, Queen Street Station, and Buchanan Street Bus Station) are also close by. The Z Hotel Glasgow: If you’re looking for a budget-friendly hotel in the heart of the city this is your ticket. The rooms here are cozy yet comfortable, but what really kicks it up a notch are the extra amenities like the wine & cheese tasting every evening. Hotel Indigo Glasgow: This sleek & stylish hotel is the perfect choice for mid-range travellers wanting to add a little flair to the their stay in the Glasgow. The central train station is also right next door for your day-trippin’ pleasure. Dakota Glasgow: Among the top luxury picks in the city centre, this classy 4-star hotel offers chic style and spacious comfortable rooms for your stay. The modern brasserie, serving innovative British cuisine & classic cocktails, is a fantastic retreat for an evening in.